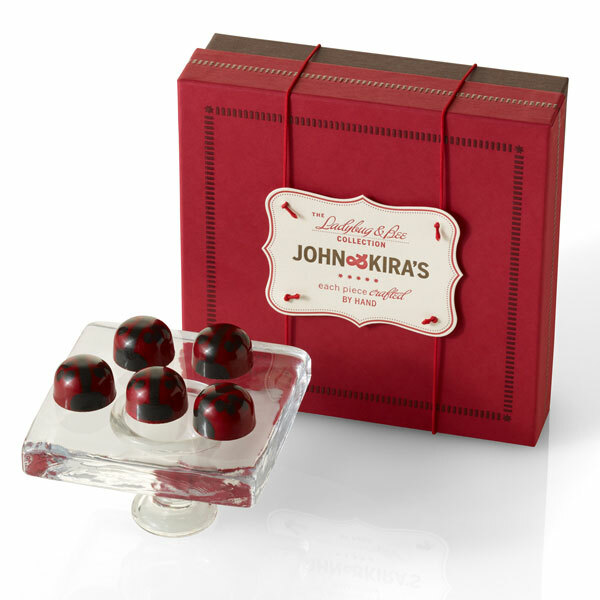 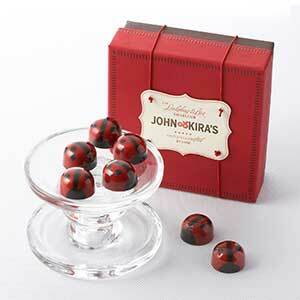 This set of 16 Ladybug Chocolates arrives beautifully packaged in a red boutique box finished with a delicate letter-pressed card. 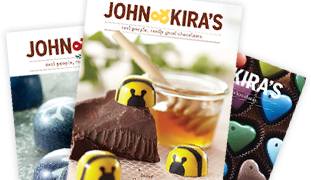 To make them, we hand-paint 62% Dark chocolate shells filled with colored cocoa butter, each one unique, and fill them with a delectable dark Valrhona 64% chocolate ganache and a hint of Singing Dog vanilla sourced from Indonesian farmers. 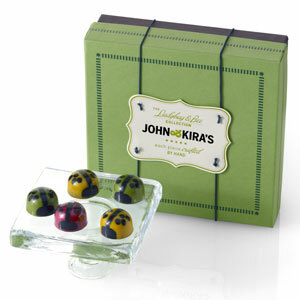 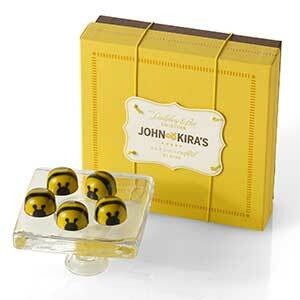 Also called Lovebugs, these adorable critters are considered lucky and are said to bring good fortune!